Spectacular views guaranteed! 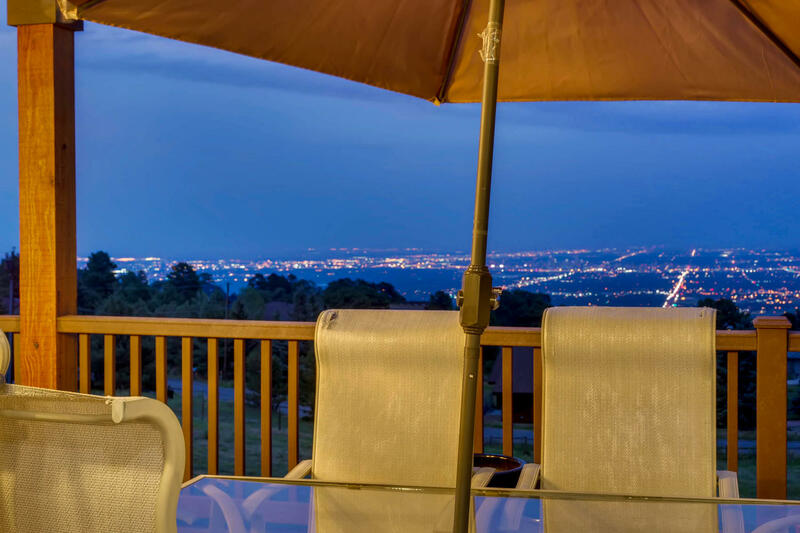 Spend your evenings enjoying unobstructed views and sunrises over Downtown Denver and the entire front range. 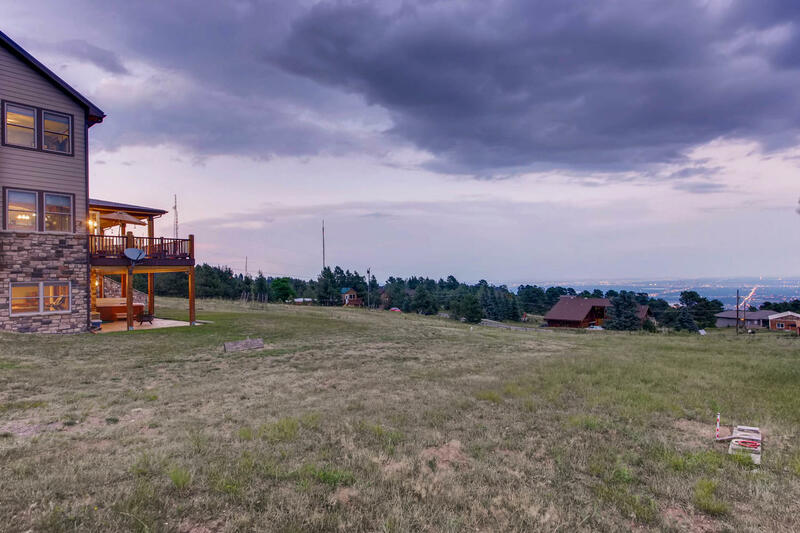 Wake up to beautiful sunrises over the city from this custom built home on over 3.5 acres just 30 minutes to downtown. 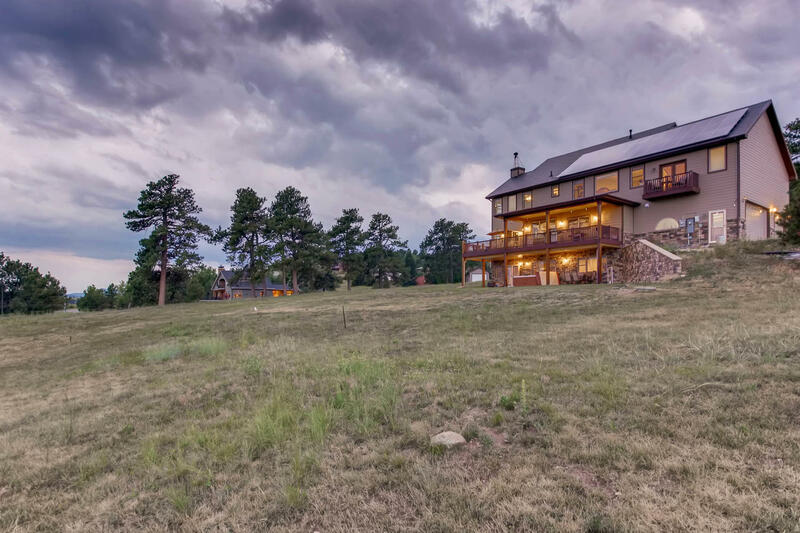 This is truly an estate home with land, views and custom features throughout. 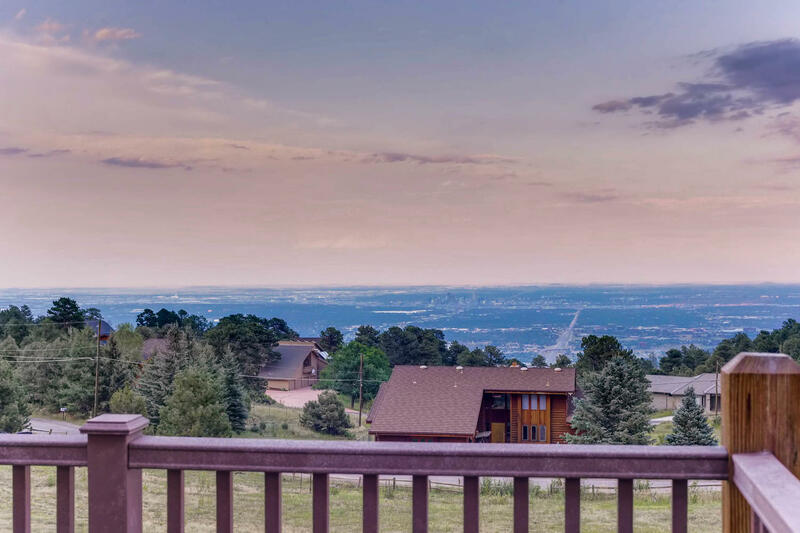 Spacious bedrooms (all with en suite bathrooms), walk in closets, expansive master suite with spectacular views, large his and her closets and a beautiful five piece bath. This energy efficient home has a Quadrafire fireplace, owned solar panels and great insulation so your energy bills are almost nothing. 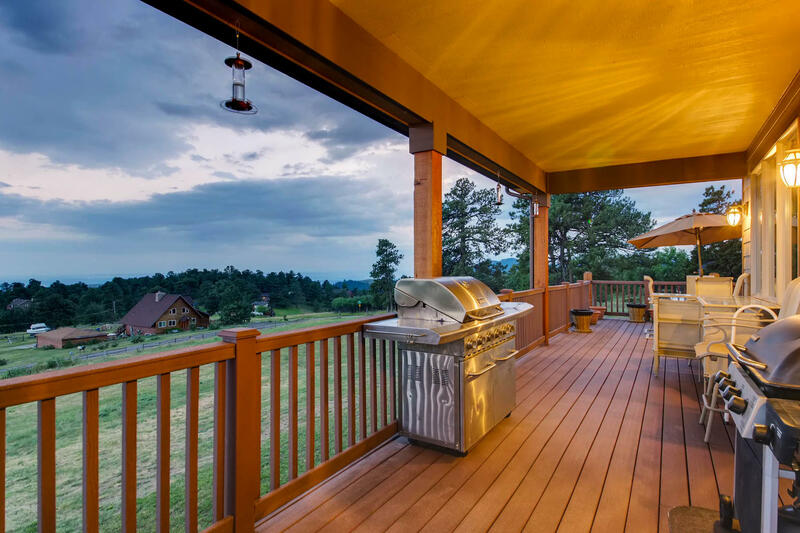 Entertain friends and family in the huge Chef’s kitchen featuring a large island, stainless steel appliances, play games in the fully finished walk-out basement, and relax on cool Colorado evenings on your large deck overlooking the entire front range. Bring your toys to the oversized attached garage and the additional detached garage that can fit boats or even a small RV. From outside to the inside this house was built with care and thoughtfulness that shows!